Many of you know I’m not a huge fan of the standard positive affirmations out there, because for some people, they can actually make things worse. (Read how in my article Why Positive Affirmations Can Make Things Worse). BUT, all hope is not lost as far as using positive healing affirmations for a successful self-help tool. Affirmations are most effective when they hold some type of truth or resonance for you. For instance, the affirmation “I am healthy and full of energy” is a great idea, but can cause subconscious resistance if you don’t actually feel that way. It’s most likely a far reach from where you currently are, or you probably wouldn’t even be trying to use an affirmation like this, right? When I was healing from chronic Lyme disease and other autoimmune conditions, I read so many positive healing affirmation books that ended up in a pile on the floor. While I understood the concept, the affirmations were just too “out there” and unattainable for me. I needed a way to “inch” my way to believing what I was saying, so they worked. I am willing to believe in my ability to create healing and happiness. I am able to process, metabolize, and release all emotions. Congratulations, you’re now ready to use positive healing affirmations without any risk of it backfiring. Hooray! 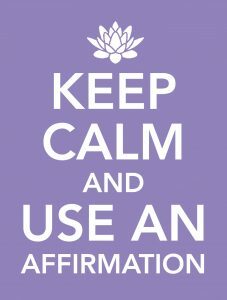 Ready To Learn More About Affirmations That Work? I’ve put together a special PDF just on this topic!